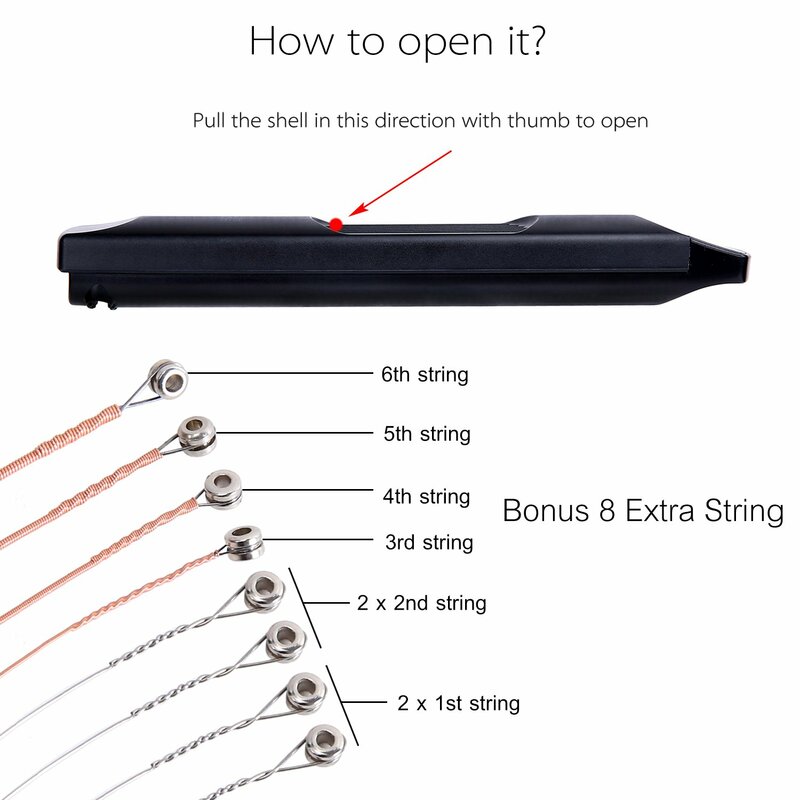 GENUINE STRINGS: Improving your finger's dexterity and speeding up the learning progress of guitar playing. A MUST-HAVE for beginners. Helpful for getting muscle memory for a chord positions. SMALL VOICE: No guitar-playing voice. Very small voice, not bother others.NOTE: THIS IS NOT REAL GUITAR. 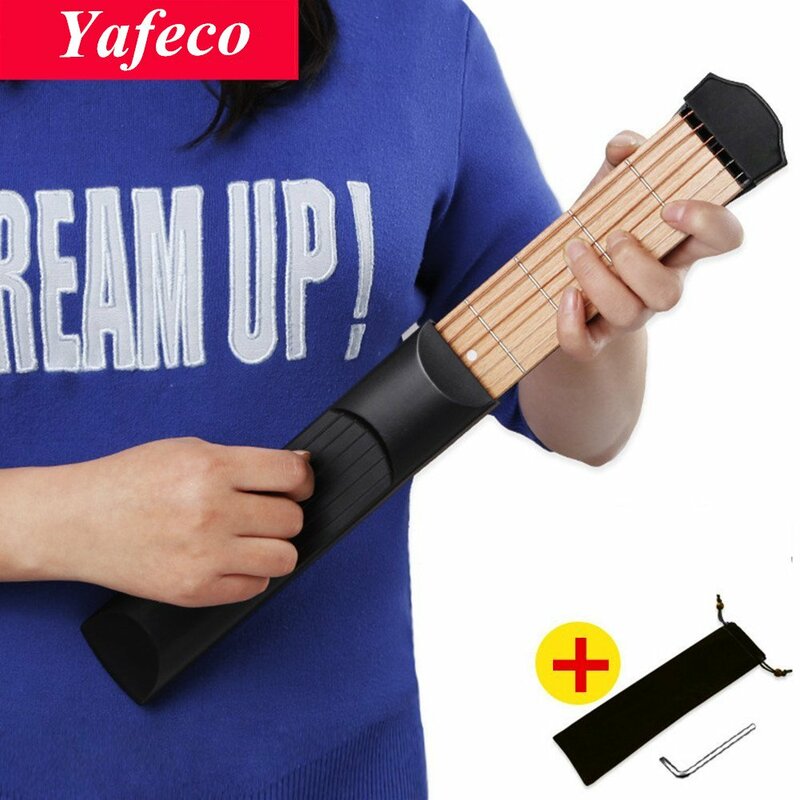 Just chord PRACTICE TOOL. SO IT CAN'T BE TUNED. 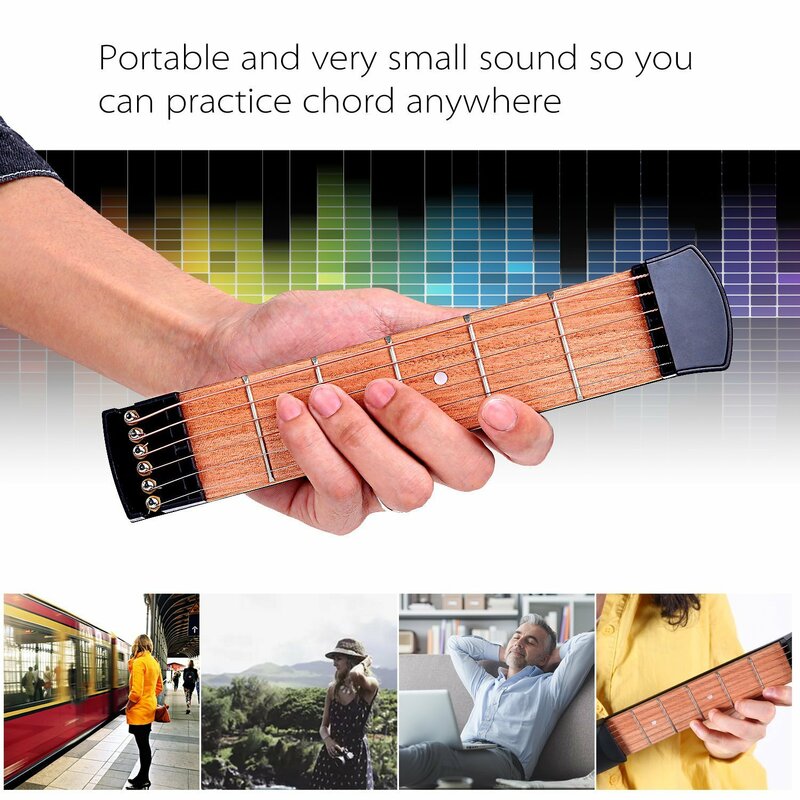 PORTABLE GUITAR PRATICE GADGET: size for pocket carry! 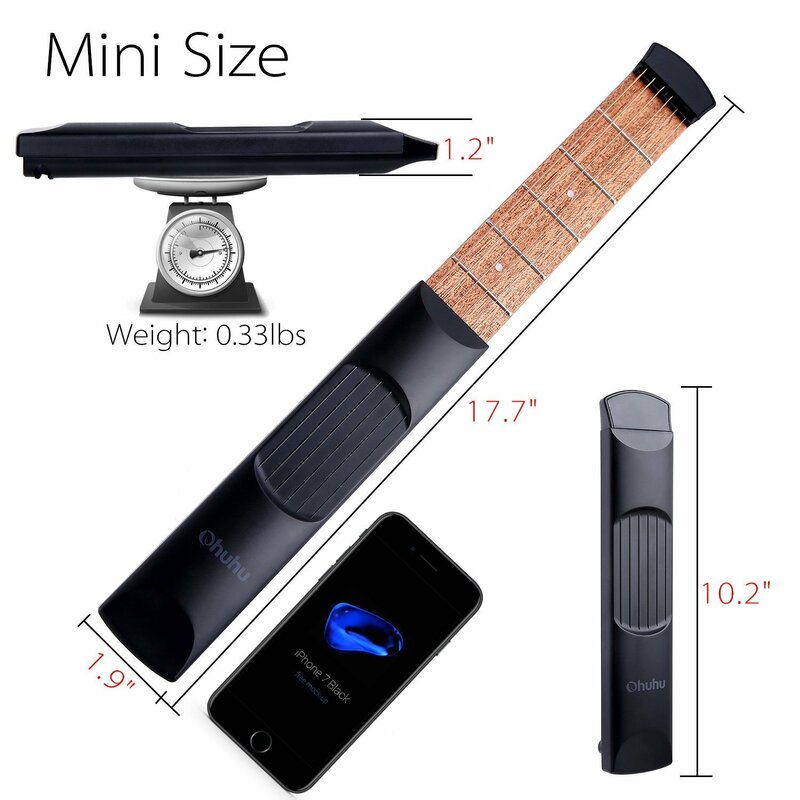 Approx 0.34 lbs, closed size: Approx 10" x 2"x 1"; opened size: approx 17.5" x 2" x 1"; come with a carrying case, practice chord ANYWHERE! NOTE: THIS IS NOT REAL GUITAR. 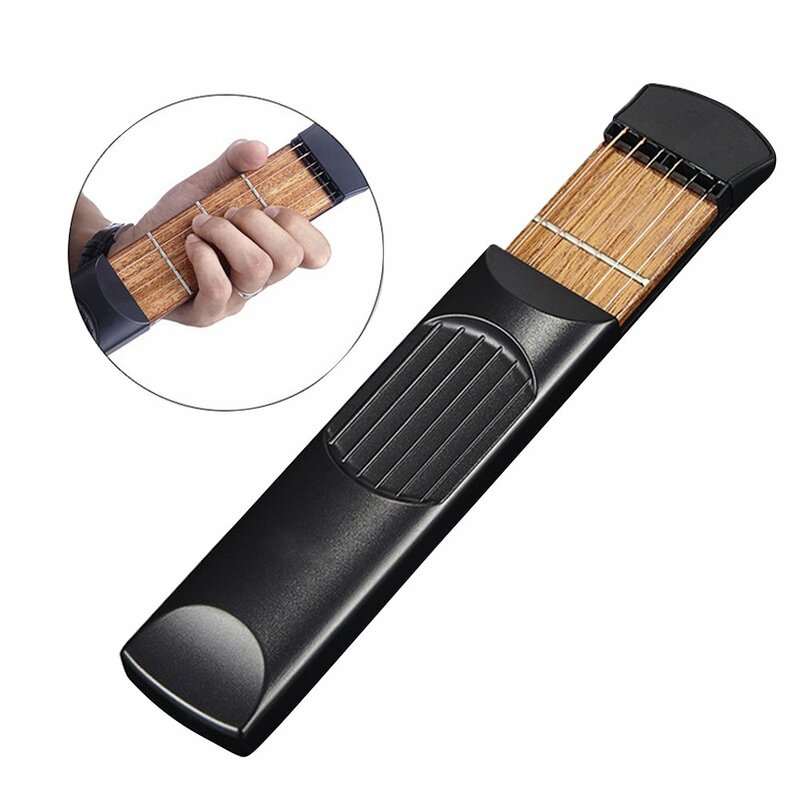 JUST CHORD PRACTICE TOOL.SO IT CAN'T BE TUNED. Specially designed for the ones with itchy guitar fingers syndrome, always wishing their guitars were there with them. 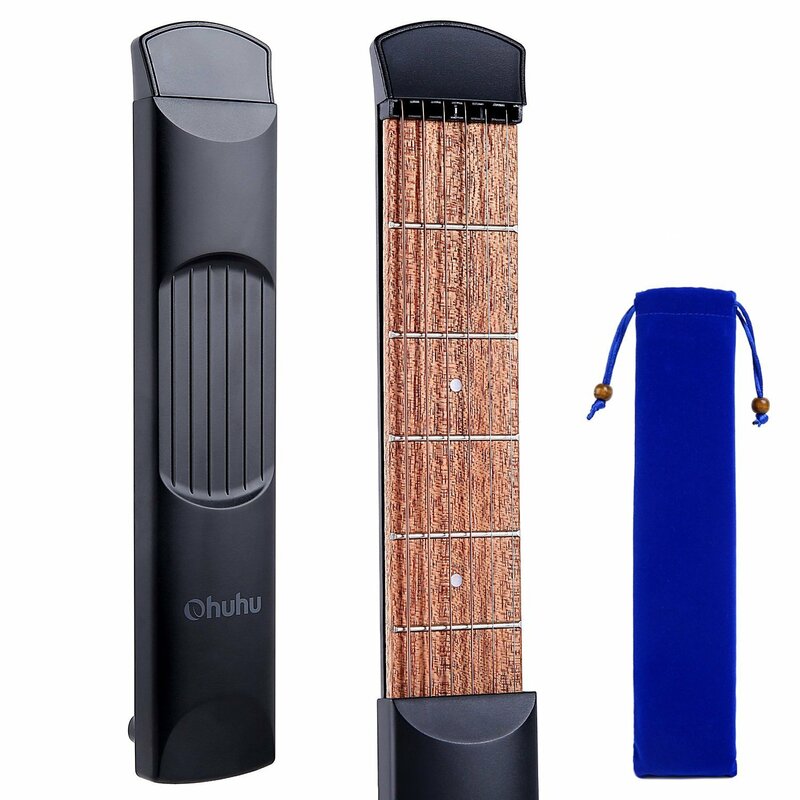 The Ohuhu Pocket Guitar allows you to practice and play wherever you are, in the little pockets of free time you have throughout the day. 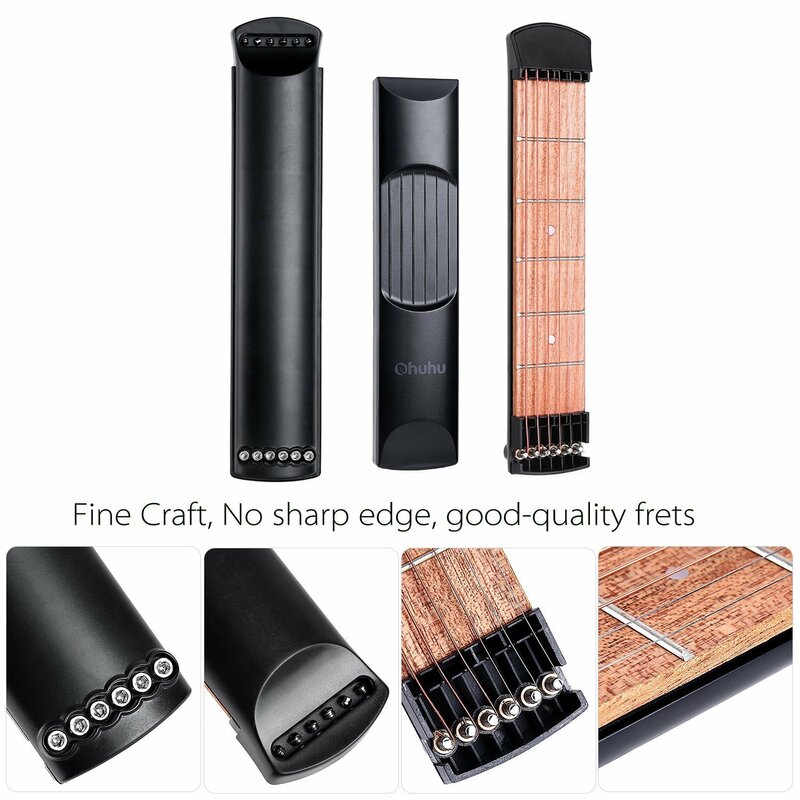 Train your finger dexterity for those rocking guitar solos with the full 6-steel string fretboard. 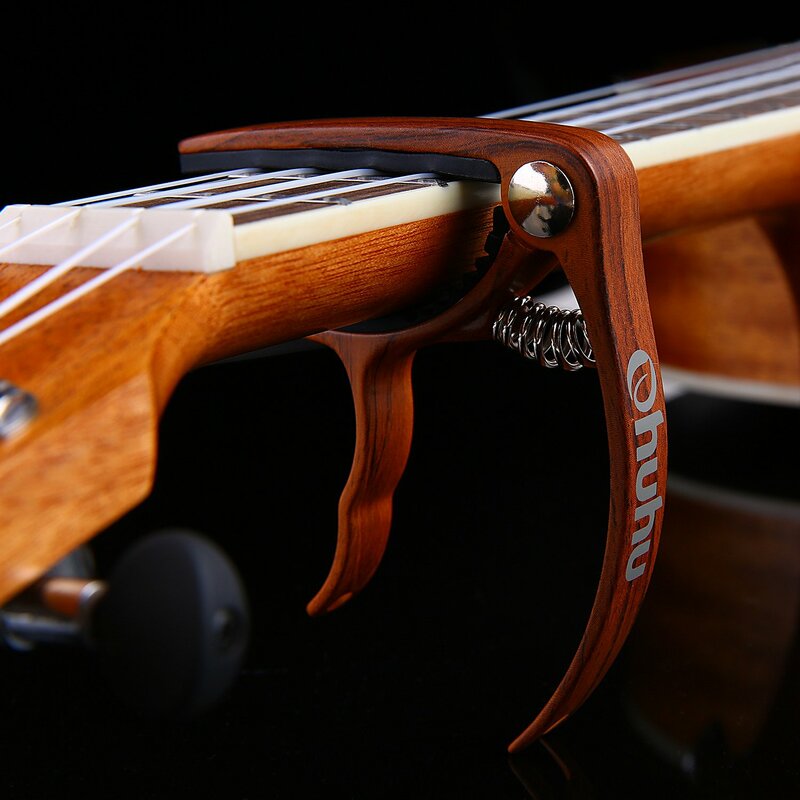 And with adjustable string tightness, tune your guitar strings to feel exactly like your guitar at home. We'd love to spend hours pouring our hearts over tab sheets, honing our skills, but it¡¯s hard to bring our big, bulky guitars wherever we go. 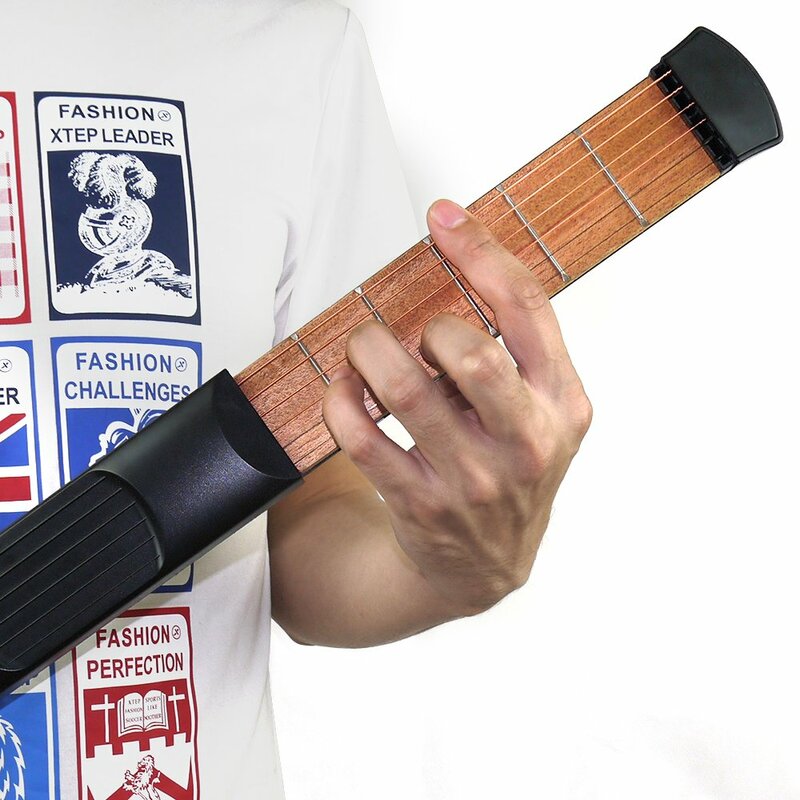 Imagine running for a bus with a guitar strapped to your back! 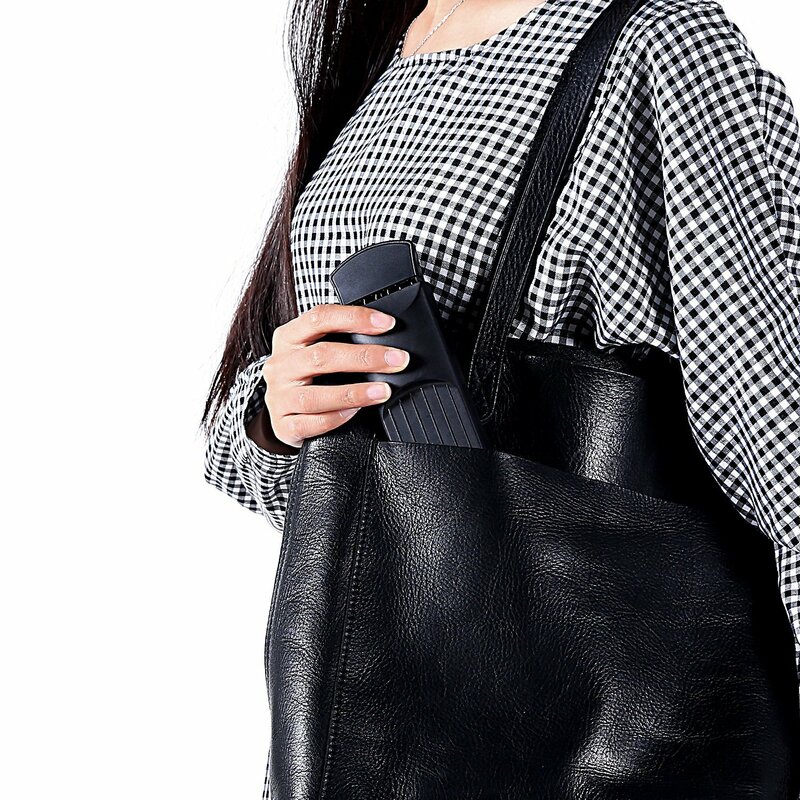 That's when Ohuhu's serious portability comes into the picture. 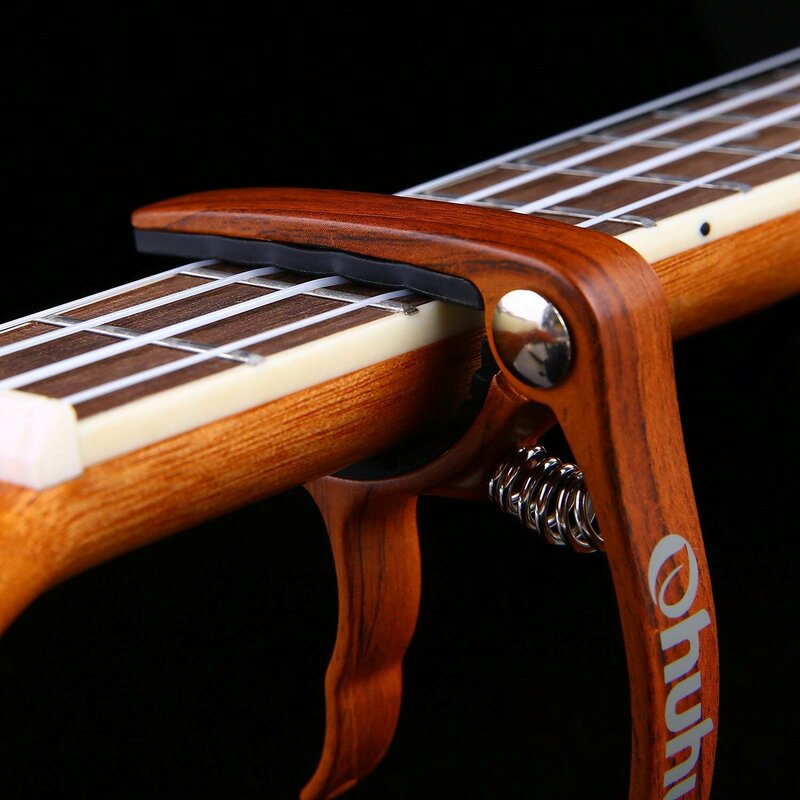 Guitarists, meet your new favorite practice tool. 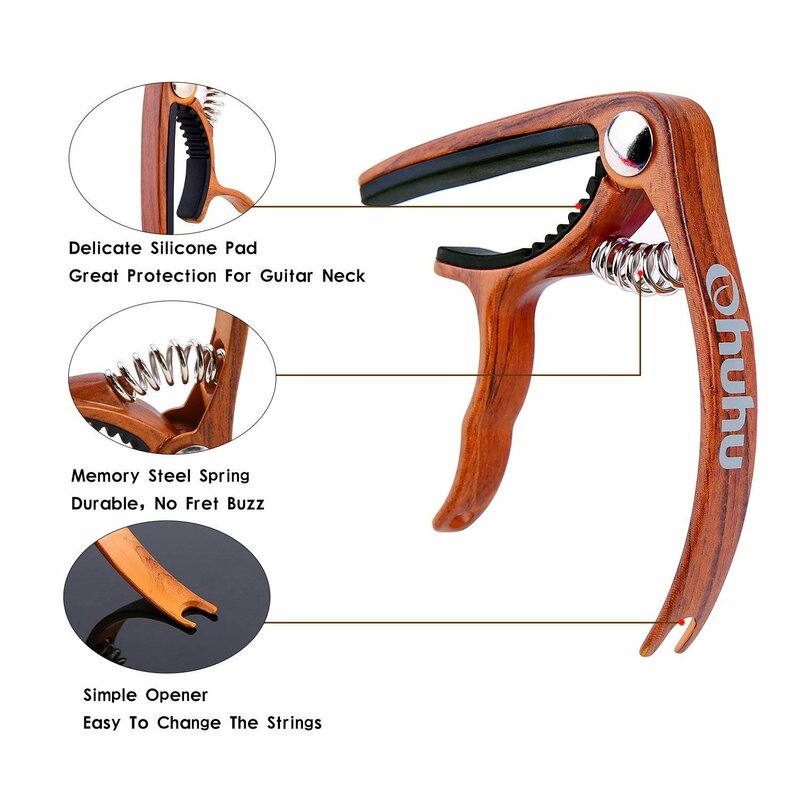 Note: This product is the auxiliary tool for the guitar. It can't issue a standard guitar sound. 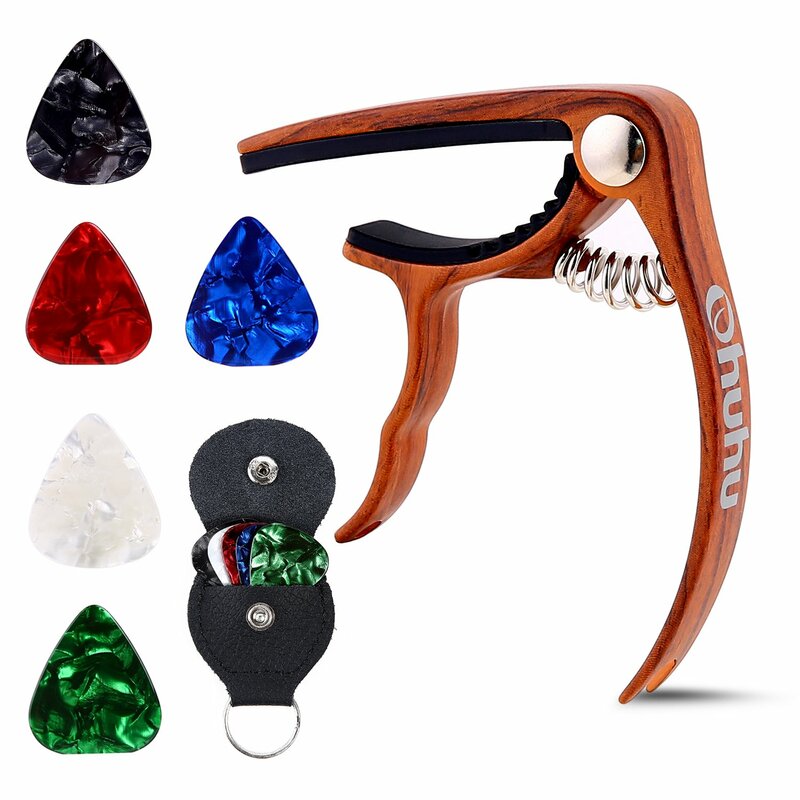 Our 10 year old son has been playing guitar for three years now and wanted a new Capo for awhile now (along with a new guitar but that's still coming). I fell in love with the classic wood look of this one from Ohuhu. He loves that it's easy to move and works well too. 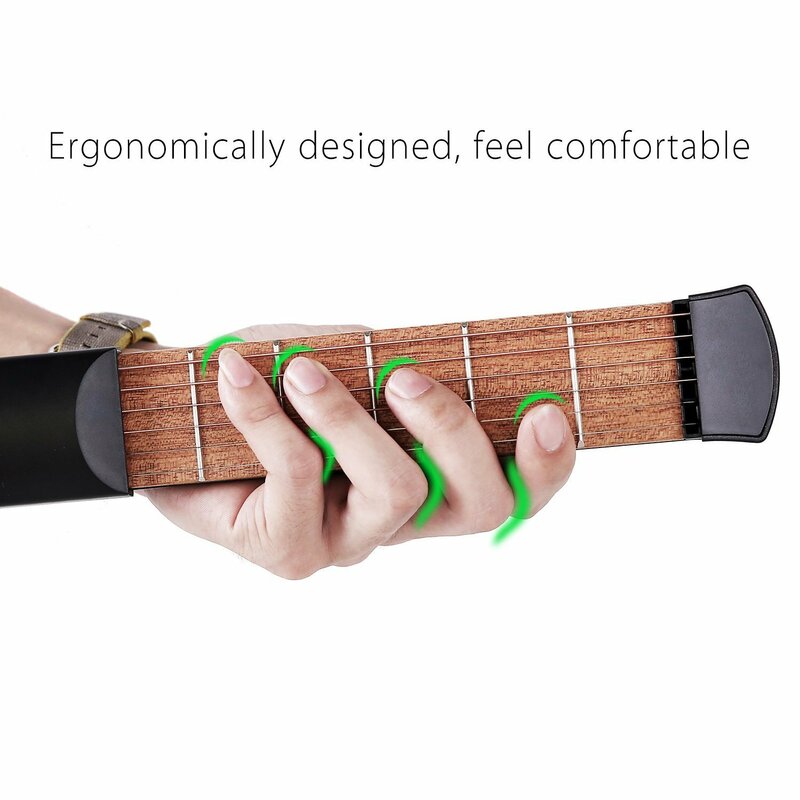 Good pressure but the silicone pad keeps from scratching the guitar. Definitely high quality! He also loves the bonus set of picks along with the case as picks are pretty easy to lose otherwise. Overall, awesome set! Color looks great against my acoustic guitar. 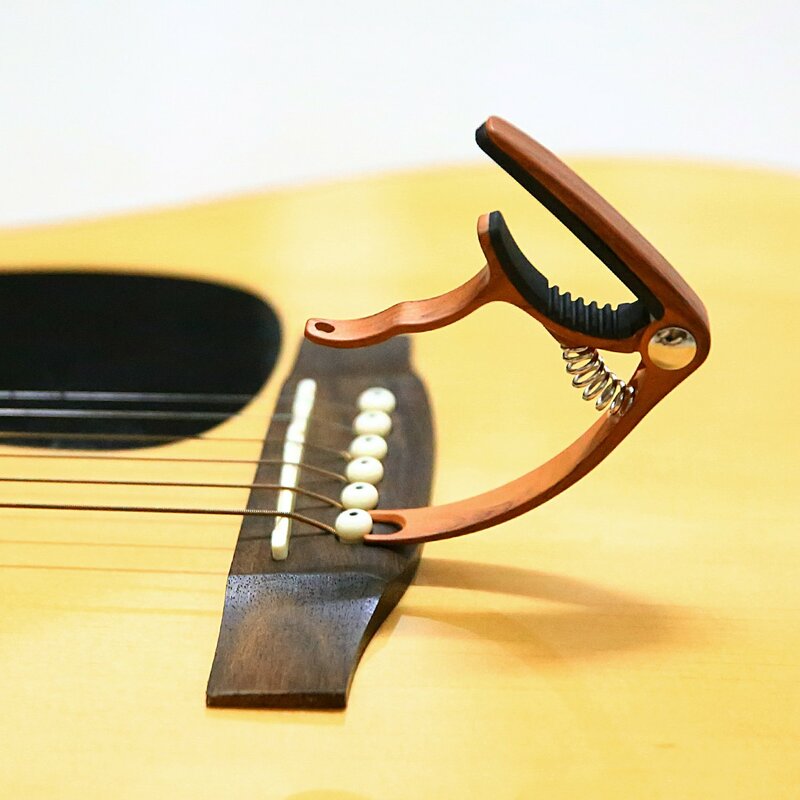 Capo is a nice tight fit everywhere I've put it so far on the neck. Good clear sound on the strings. Looks to be good quality and that it will last a long time. 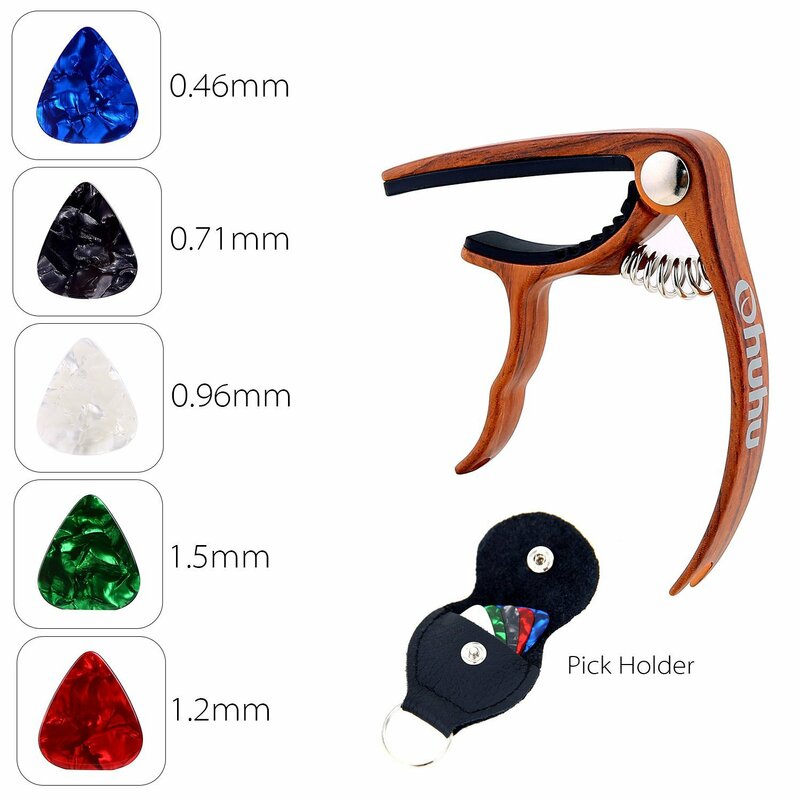 The picks and the pick holder appear to be good quality. In my guitar case for now, but will probably be using them soon. 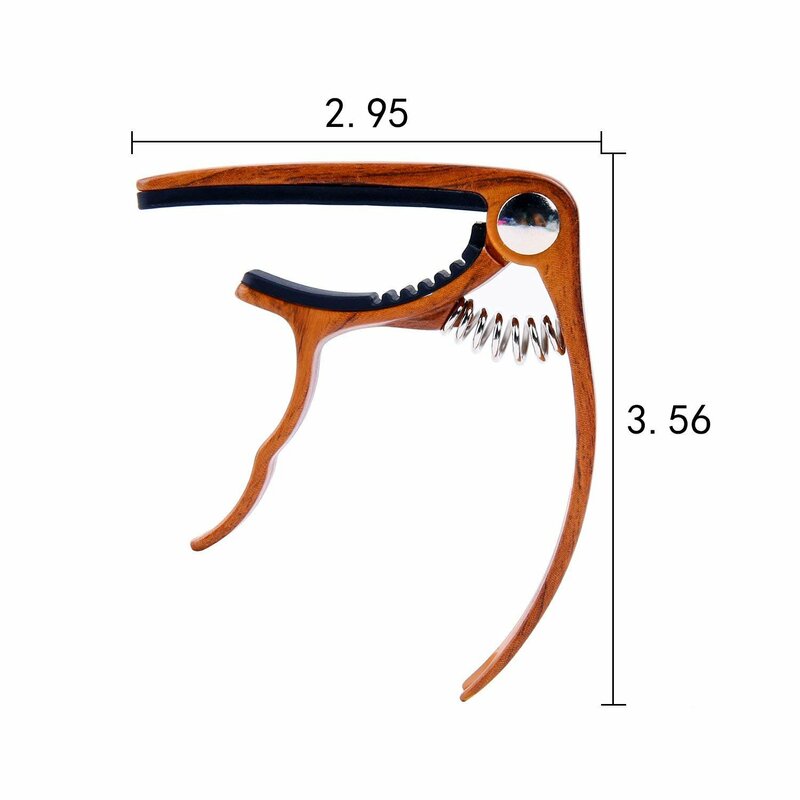 This is a great capo - especially when starting out. It has just the right amount of grip and looks cool. the added bonus of the picks is nice, and the pick holder is now on my key ring. 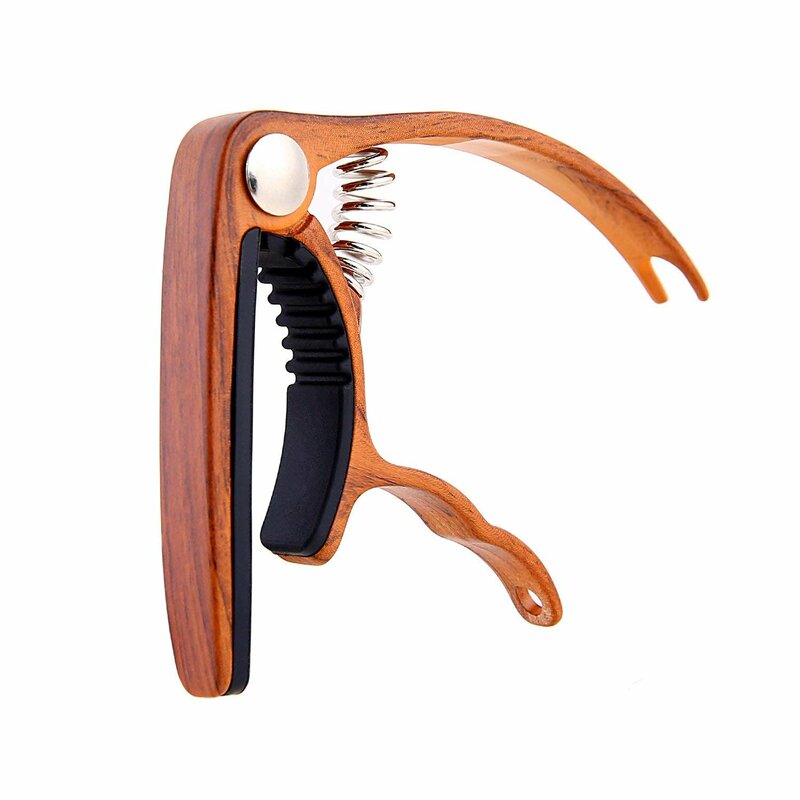 What more can you ask for, inexpensive functioning capo and decent picks. 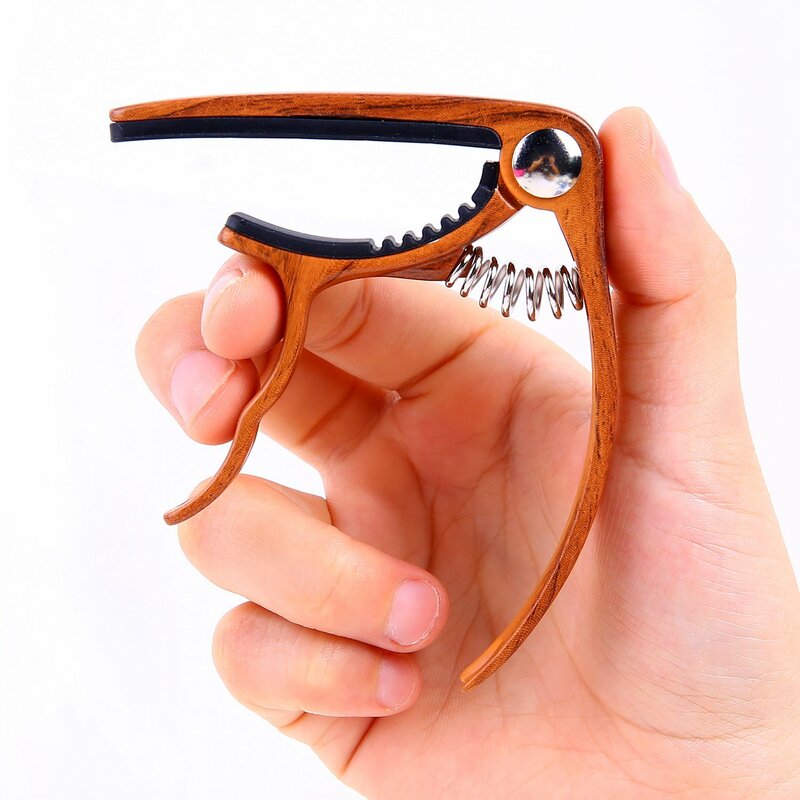 This is a nicely shaped and well made capo. It fits my concert, tenor and baritone ukes of several makes. I don't have a soprano handy at the moment. It does work with my Martin guitars. 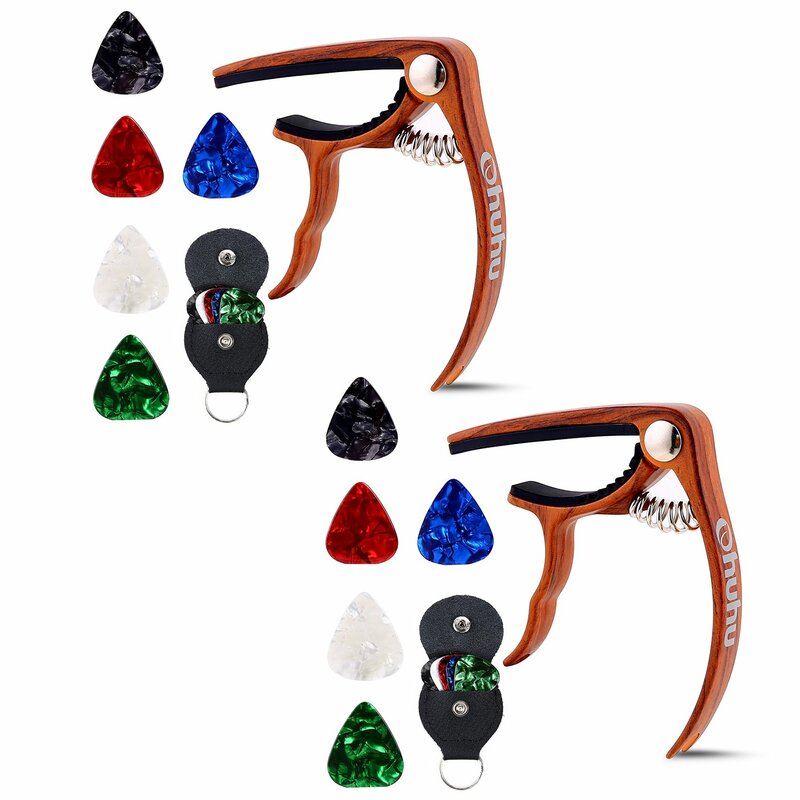 The capo does come with several guitar picks, and all are nicely packaged in a presentation quality box. I am pleased.